Like many others, I got started in my teens in garage rock bands. My first instrument was technically a tenor saxophone but the adventure really began with the guitar and drums. My uncle gave me his Fender Super Reverb amp early in the 80’s and I bought a cheap telecaster copy off a friend. My junior high school music teacher used to let us come into the band room at lunch and after school to mess around with the drums and bass guitar and this was really the birth of my interest in making my own music. Here’s to the teachers! I’ve had the luxury of attending some well-equipped schools and working in some nice film and game studios over the years so my home set-up has always been quite simple. My first “home studio” was a Tascam 4-track cassette recorder. I went through several of these in my early years. Once audio-capable computers became accessible and affordable in the 90’s, I bought one with a student loan while in my last year of university. It was a Power PC 7200/75. Ever since, I’ve been pretty much a computer musician. I went through a few outboard samplers and synth modules but essentially gave up on those when I got my first Powerbook in the early 2000’s. Early on I was into Max, Csound, Soundhack, etc. and would assemble things with Pro Tools or Deck. Currently, I have a MacBook Pro and a collection of controllers. I use very little outboard gear. Well, as I just said, I don’t use a whole lot of outboard equipment, but because of this, AD and DA conversion is pretty important. I’ve been through quite a few boxes over the years, MOTU, Presonus, etc. but my current one – the Apogee Quartet, definitely sounds the nicest. I always try to keep my Sony PCM D-50 recorder handy. 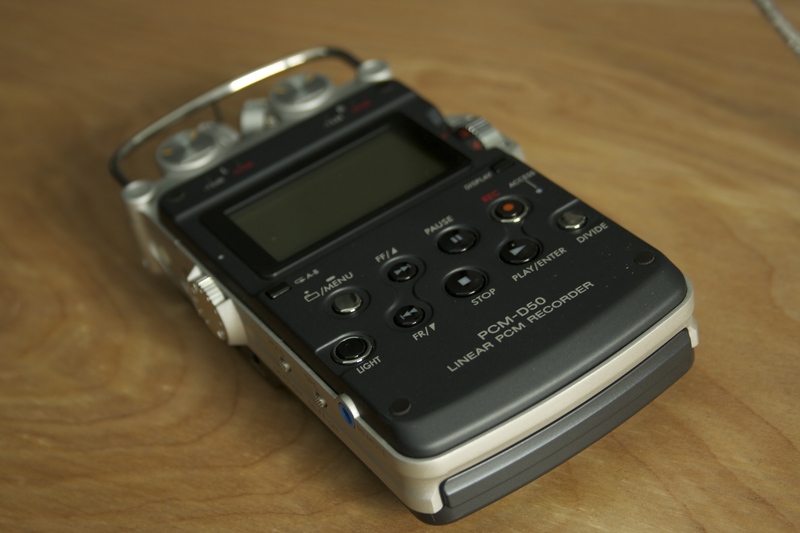 It’s been a great little portable recorder to have for “point and shoot” style location recording. 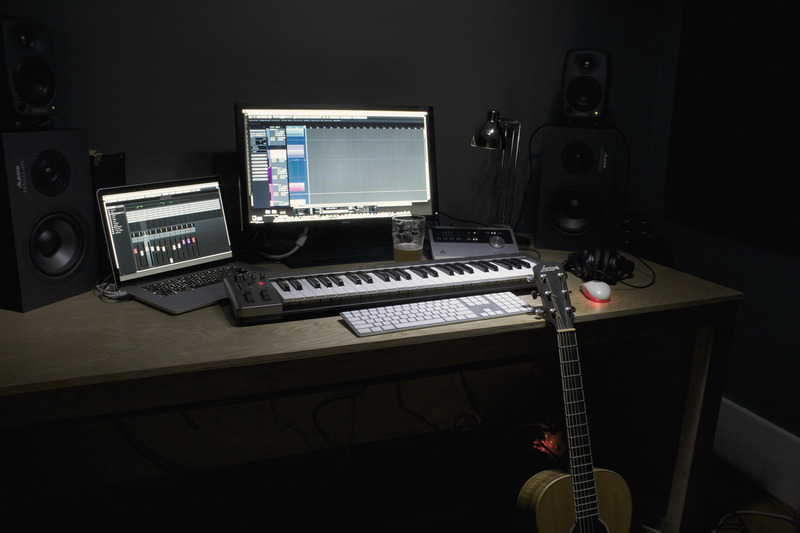 An I love my Genelec 8020A monitors as well. I worked with these for years as a sound designer so I know their sound well. Of course, the real answer would be “the computer” but that’s kind of boring isn’t it. For the longest time I was a die-hard Max/MSP user. I really loved the challenge of building my own sequencers, processors, etc. from scratch. Since Max for Live came along, I’ve switched to using Ableton Live for sequencing and ported most of my max patches into Max for Live devices. I still do quite a lot with Max and love the added flexibility of having this as a component of Live. I also use Steinberg’s Nuendo for mixing and editing. After years of working as a sound designer and composer for games, I became very comfortable with Nuendo so I still defer to it for the final stages of assembling tracks. I also love all the Audio Engineering stuff. I learned digital editing on Sound Designer II so when AE released Wave Editor I was quite thrilled to have a simple, decent, destructive editor in my tool box again. I’m currently eyeing the Livid controllers. The Ohm looks interesting as does the Elements custom controllers. I’ve been through many controllers over the years and still haven’t found the ideal candidate. Instrument-wise, I’ve longed to own a Cristal Baschet. Such a beautiful and haunting instrument. Perhaps one day. It’s always based around the laptop but the peripherals and instruments change. Over the last year, I’ve been working a lot with a table-top slide guitar, feeding stuff into the computer and processing it, then manipulating, grabbing loops, layers, etc. from there. Sometimes I will play with other live instruments and performers – piano, vibraphone, rhodes, guitar. I enjoy mixing that live element into the otherwise computer-centric set up. But when it’s not practical, it’s just me, my laptop and a controller – sometimes with integrated video. Isolation and quiet are probably the most essential to me. I’ve recently moved into a new room in my house and I’m trying to treat the walls with sound absorption panels to dampen the reflections a bit. I’ve got 5 panels up so far but could probably use a couple more to remove the echo in my rather boxy old room. Of course, I’ve love to have a studio off in the woods somewhere but for now that’s not so practical. I was essentially educated as a sound recordist and designer. I think this approach has fundamentally shaped my process with regard to electronic music production. I really enjoy recording sounds and then manipulating them – almost building a library of sounds to work from first before entering into composition mode. Once I have some sounds I like, I begin rhythmically manipulating them and sculpting them into loops and phrases that appeal to me. 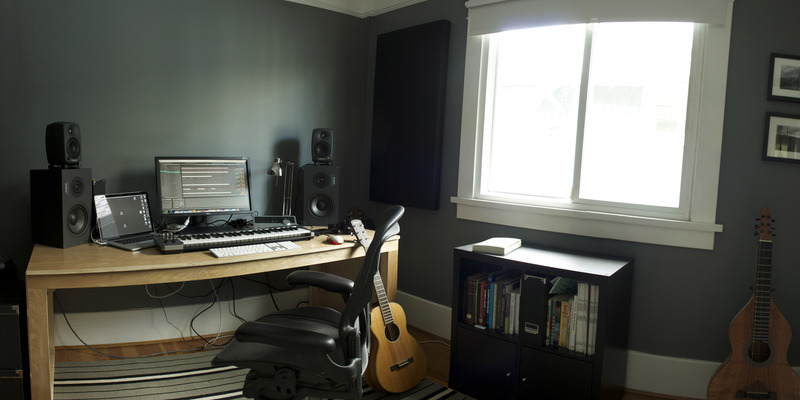 I can often sit and listen to loops for hours – a weird meditative state of “composing” that I really enjoy. Then the editorial work begins – shaping these layers and loops into a final composition. Sometimes, similar to performing live, I just do this in a very improvisational way. Other times, I tackle it like post production on a film and surgically add or remove stuff until it sounds right. When I’m working on new material, I find it really important to take the works in progress out of the studio. I’ll bounce out temporary mixes, transfer them to my phone and go for a walk or ride my bike to a nearby park and sit and listen out of the usual context. This helps change my focus from being in that “editor” state of mind and being a listener. Beyond that, I hate listening to my own music after it’s completed. I enjoy altering a piece when it’s still “alive” but when it’s finished, inaccessible and out of my control, I feel quite uncomfortable hearing it. Hearing my music on bad sound systems can feel like a knife being slowly driven into my back. It’s painful. I think I have two different procrastination styles. One, you might call productive procrastination, when I distract myself from a pertinent task with another unrelated task. This might mean working on something creatively different from music or it might mean doing the dishes. Either way, something positive comes out of the procrastination. The other, counter-productive form of procrastination occurs when I step away from working to do nothing at all. I think this is laziness really and probably unavoidable considering human nature. Or at least my nature. But perhaps we need these breaks and procrastination is just a method of our subconscious informing us to step away. For more, check out Headphone Commute’s reviews of Sketches From New Brighton, Coast/ Range/ Arc, and Endless Falls as well as our past Interview with loscil and Conversations with Loscil. This is a great interview, thanks. Loscil is one of my all-time faves. mine too. terrific soundscapes, truly.